Many associate “startup” with spontaneity and a can-do attitude, but not so much with project management. Entrepreneurs who are starting a new business should not underestimate the importance of project management though. A lot of uncertainties surround startups, in fact, the only thing they can be sure of is that that they will be short of money and time. 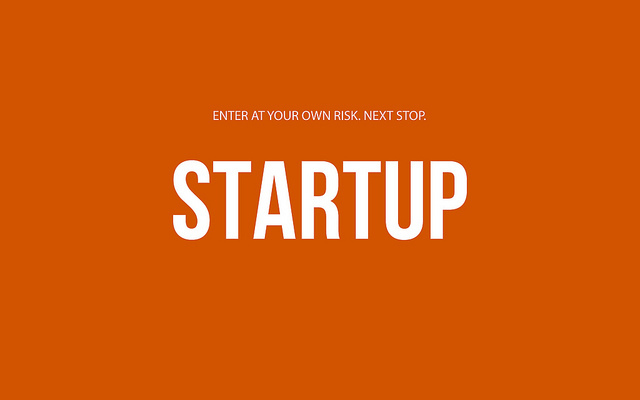 A startup is also a risky business and there are many reasons why they can fail. Project management can help startups mitigate these risks and grow into successful businesses. Finding the right project management method depends on the individual startups, their size and also the industry. But if you use PM methods properly, they can bring more order and efficiency into the chaos of the early days of starting a new business. How can project management methods help startups? Finding the right project management methods for your startup can be difficult. Some may not work at all, while others only partially. You need to identify which method works better for your company and then adapt it according to your needs. Maybe the traditional waterfall approach is a right fit, but maybe agile methods are more suitable for your startup. Either way, even if a startup does not have many customers and employees yet, it still needs project management to be successful. Implementing project management methods can help a new business identify their goals and plan the steps they have to take in order to achieve those goals. It can also assist in determining the needed time and budget for their undertaking. Many think that you do not have to plan a startup, you should just DO it. Being an entrepreneur is all about being proactive and spontaneous, right? Wrong. A startup cannot survive on passion and enthusiasm alone. You need to have a clear idea of what your goals are. For a startup that is selling a product or service that people want to have. This is why having a recognizable brand from the very beginning is important and it will set you apart from the competition. Many entrepreneurs look at success stories such as Facebook and have unrealistic expectations about how much their business will grow and what they can achieve. The reality is that Facebook is the exception rather than the rule. Of course, that does not mean that you cannot be optimistic about your business, but you need to set realistic goals with milestones that you can work towards. After you have sorted out your goals, you need to make a plan on how to achieve them. Do not underestimate the importance of planning, because it will save you a lot of trouble later on, i.e. saving you time and money. Having a clear plan also helps you identify and manage risks early on, so you can deal with them in a timely matter instead of letting them grow into a danger for your startup’s survival. The first year of a startup is the most important one as this is the time for you to build the foundation of your company, careful planning can be the deciding factor of whether your project will be a success or failure. The project plan needs to state the goals and objectives clearly, but also the resources needed to reach them. You should start by making a list of all the tasks that you have to do. This can be done in the traditional way with pen and paper or electronically with an application. Remember that this should be a quick draft, you should not get too caught up in it. When you have a list, go over it and pick out the most important ones that will help you achieve your objectives and start making a plan for them. You should break down each task into smaller, more manageable ones so that you won’t be too stressed out by having to do too many things at once. Many have a problem prioritizing and think that they have to multitask to get things done. Project management methods can help keep you focus on the essential tasks. If you want to succeed, you need to focus. I have already mentioned before that one thing most startups can be certain of is that they will lack time and money. The triple constraints affect every project, but it is especially important to keep track of them for a startup. You need to set a clear project scope, i.e. the tasks that need to be accomplished to deliver a product or service. In addition, the product scope also needs to be decided on. What features will your product have? If you have a clear idea of these two things, you can set a timeframe and budget to deliver them. Time is an essential aspect for a startup as it is vital to get your product or service out into the world as quickly as possible and to gain as much market share as possible, so that you can beat the competition to it. The startup cycle moves rapidly, if your project takes too much time, you might miss the window to put your product out there. This is why you need need to set a clear timeframe for your activities beforehand. You can use Gantt charts to plan the duration of your tasks. It also helps you compare the planned progress with real-time progress. Many startups struggle to find funds for their business. Thus, it is important to allocate the funds that you do have carefully. Otherwise you run the risk of running out of money, which is one of the biggest reasons why many new businesses fail. While it is important to get your product or service out as soon as possible, do not neglect the quality. A good reputation is important for any business, but it is particularly important for a startup. The best way to build up a good reputation is to offer your customers high quality products and services. Or at least the highest quality possible that is within your budget. Getting your name out there through organic promotion, such as word-of-mouth, is invaluable for a startup. It will help you get new customers and in turn attract more funding. Use this funding wisely to provide your customers with products and services that they want or never knew they needed. If a product does not deliver, work on raising its standard instead of ignoring it and assuming that it will be OK. You can use the Scrum method, for example, to assess whether your product deliverables are up to standard or not. One of the biggest risk factors in a startup are its human resources. Having the right team with the necessary skills set is vital. A person could be great at developing new products, but could be terrible at planning a project or managing clients. This is why it is important to assign the right jobs to the right people. This can also help provide a “checks and balances” system that will help you make better decisions that factor in all aspects of the project. Make an effort to know the strengths and weaknesses of your team, so you can set realistic goals and deadlines that your team members can finish on time and deliver a quality product. It is better to assign them manageable tasks that they can finish without delay as it will keep them motivated when they have reached a milestone, instead of being depressed that they did not meet a goal. A motivated team that is passionate and enthusiastic about their work is just as important to a startup’s success as having a great product. Things Startups Can Learn from Project Management - InLoox • Copyright 1999-2019 © InLoox, Inc. All rights reserved.